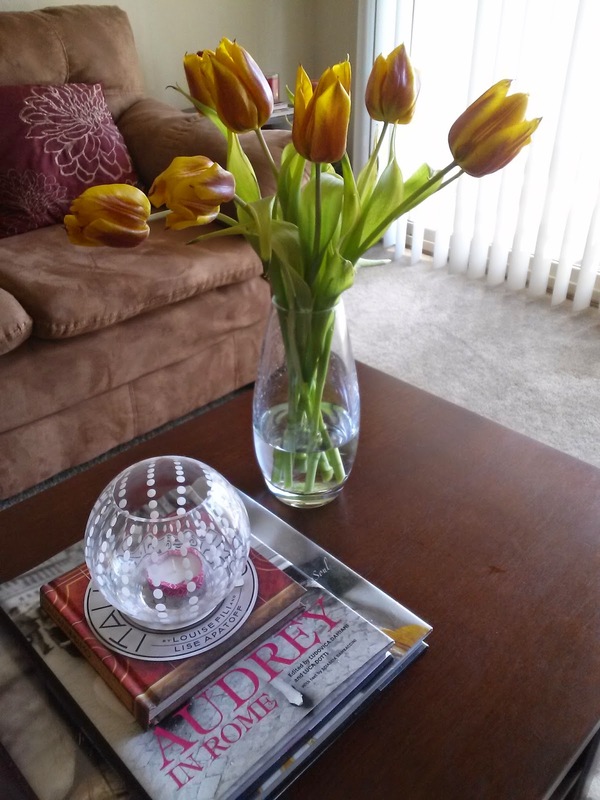 I received another beautiful bouquet of fresh flowers for my birthday this past week. 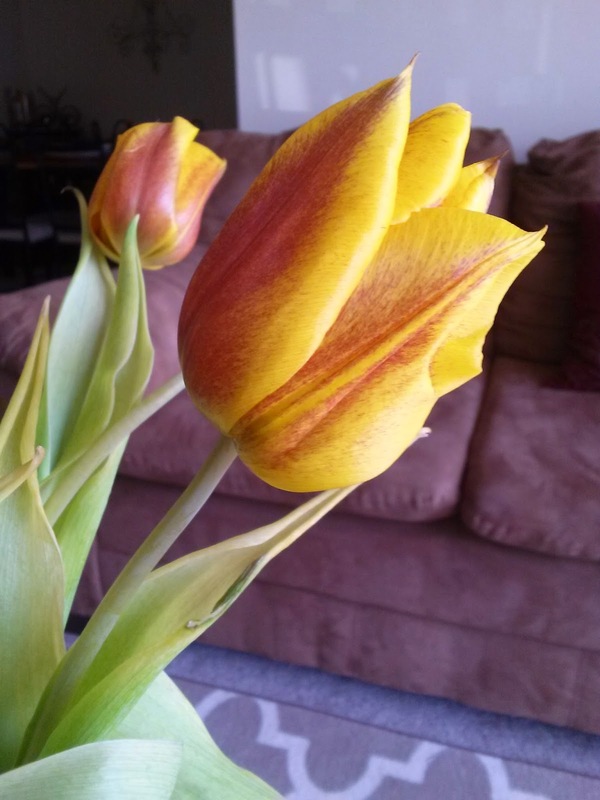 This time, I was given tulips, and not any tulips, but ones with petals that are both mauve and yellow. They are special. I had them on my dining room table since Tuesday evening, but am concerned that they are not thriving. Specifically not getting enough sunlight in that room. 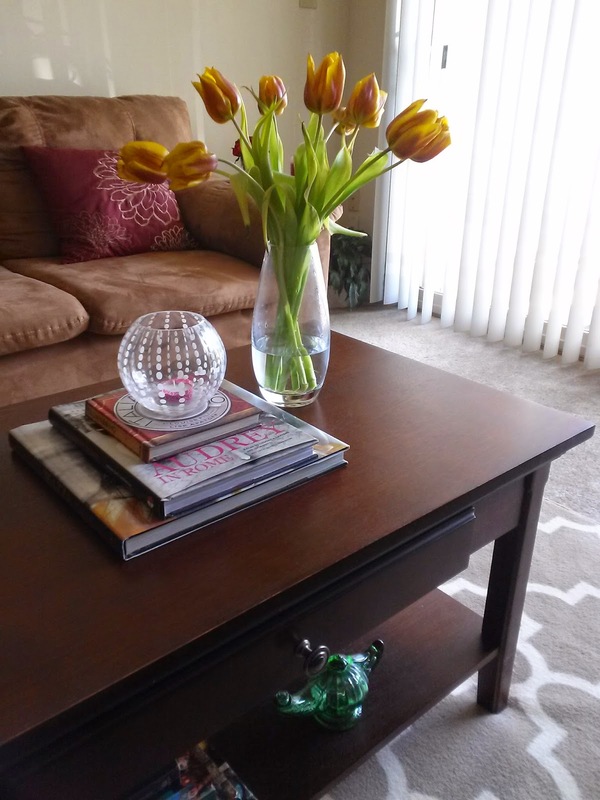 After cleaning the vase, adding new water, trimming the stems, and rearranging the blooms again this morning, I placed them on my coffee table, next to my sliding glass door. Don't miss this post on my birthday purchases that published this morning!